Victoria Maxwell is an award-winning keynote speaker and performing artist. Her funny, powerful messages about mental wellness create lasting change in individuals and organizations. By sharing her story of mental illness and recovery she makes the uncomfortable comfortable, the confusing understandable. 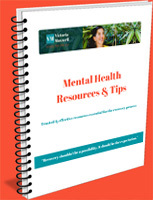 In other words, Victoria transforms beliefs to reduce stigma and offers practical, effective tools for flourishing mental health, in the workplace and beyond. 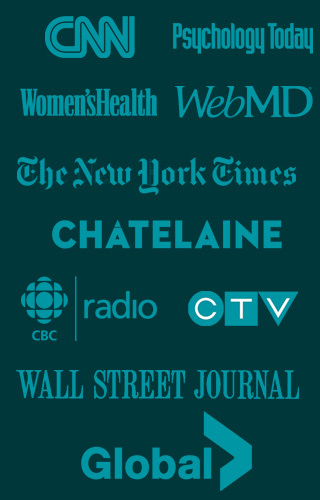 The Mental Health Commission of Canada named her keynote That’s Just Crazy Talk as one of the top anti-stigma interventions in the country. Her work has helped 1000’s of people to ignite essential conversations about mental health, gain sustainable self-care skills and use creativity to optimize wellness. Employers and staff alike learn to help the 1 in 5 employees who struggle with mental health issues and implement tools to flourish. Healthcare professionals gain unique insight and become more effective in their jobs. Leaders learn evidenced based strategies to improve wellness to bring out the best in themselves and their teams. Employees in need reach out for and accept help sooner and more easily. Individuals struggling with mental health issues and their families gain pivotal hope and inspiration to continue healing. 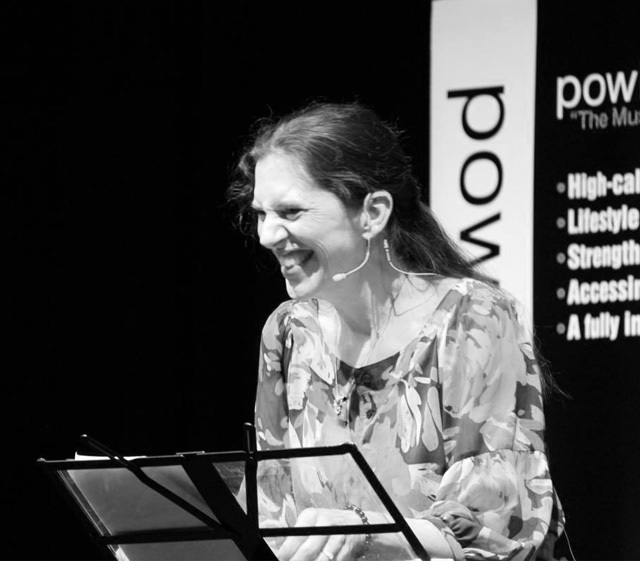 Victoria’s theatrical keynotes followed by a Q & A are renowned for making conversations about mental health comfortable and inspiring individuals into action. With a wide range of mental health, wellness and creativity topics, Victoria’s workshops help people thrive in their work and beyond, while reducing the stigma. Order her award-winning keynotes on DVD or on-demand download from our online store. Book a live Q + A with Victoria after a screening to make further impact. 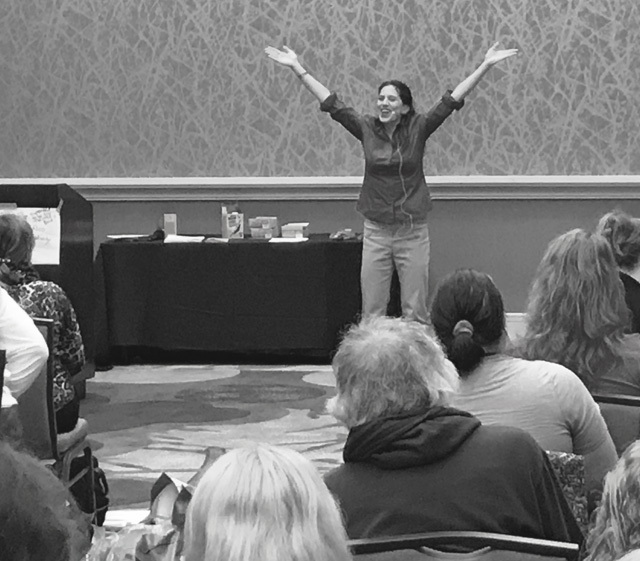 This funny and achingly truthful keynote both entertains and educates, exploding stigmas and portraying the love and resilience it takes to stay together as a family in the midst of illness and the beauty that can result when we face our fears. The much anticipated ‘sister’ keynote to Victoria Maxwell’s hit Crazy for Life. This high energy, irreverent presentation is the second installment of her escapades, capturing the world of work before, during and after bipolar disorder, anxiety and psychosis. Talk about a walk on the wild side. 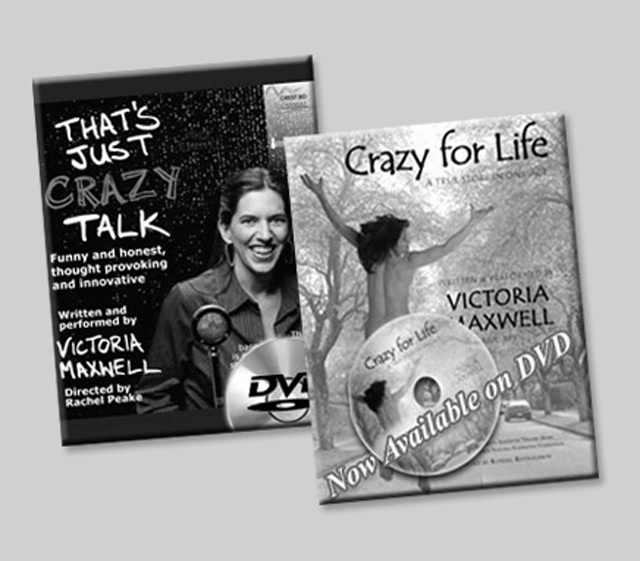 Crazy For Life is Victoria Maxwell’s ‘tour-de-force’ theatrical keynote of her roller-coaster ride with bipolar disorder and journey to wellness. Create a meaningful event your audience will be talking about for years to come!